It really is amazing when thinking about the crummy weather LAST March…that, at least from a temperature standpoint, THIS March is almost 9° colder than last March through St Patrick’s Day. This week overall will be more seasonably…not overly warm but not overly cold either…just sort of “meh” from a temperature regime and “meh” is actually OK compared to recent history at least. The rain though will become an issue at times Tuesday with more coming next weekend. East winds in the above map aren’t the greatest for warm afternoons but since the average is around 55° and we have a lot of sunshine…we should be near there during the afternoon…not a bad day to be outside considering the winds are light. That is dropping southwards..and as it does so it will help create lift in the Plains tomorrow…that will go into the production of mostly rain it appears that will spread towards the east as tomorrow moves along and the NAM model picks this up nicely. The disturbance will come down right on top of the KC region on Wednesday so the best chance of something a bit more widespread and noteworthy would be later in the day Tuesday into Tuesday night. Typically this type of event…even though it’s strengthening as it drops southwards would give us about 1/4″>1/2″ of moisture but in this season(s) of mostly over-production of the rain events…this has some upside to 3/4″ or so in spots. Again not an all day rain…some dry hours coming I think…and that will affect the temperature potential and why I mentioned the “tricky” part of the forecast. Note the variation from the north to the south…very possible depending on track of whatever surface low develops. The HI-res NAM takes it just barely south of the I-70 corridor. IF it’s farther north..warmer…farther south and the cold air north of the Metro will drop southwards too. 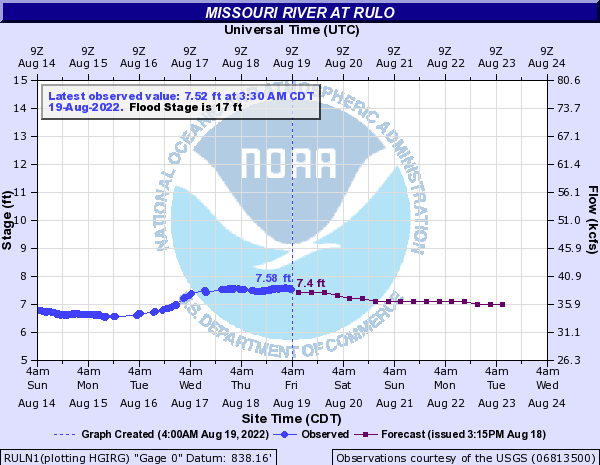 Things are so bad even the NWS in Omaha had to evacuate their offices. You may encounter some broken links on our webpage, but our forecasters remain hard at work forecasting and issuing warnings and products. We’ve moved operations to Hastings, NE. 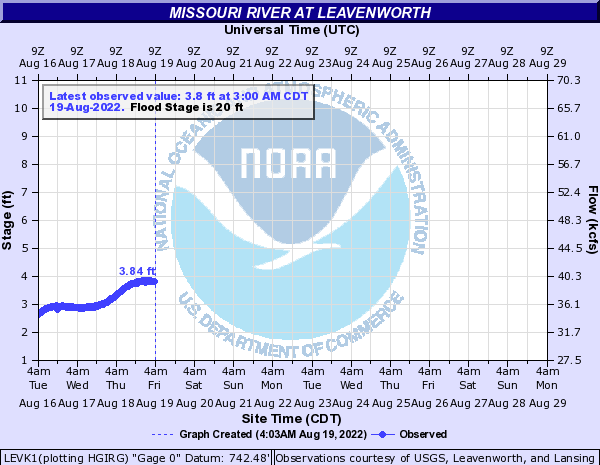 and in a good news…bad news…situation…some of the levees are breaking…this releases water and reduces the amount of water coming down the River towards NW MO…in effect sort of like punch holes in a bath tub…the water isn’t as channeled anymore and spreads out more. 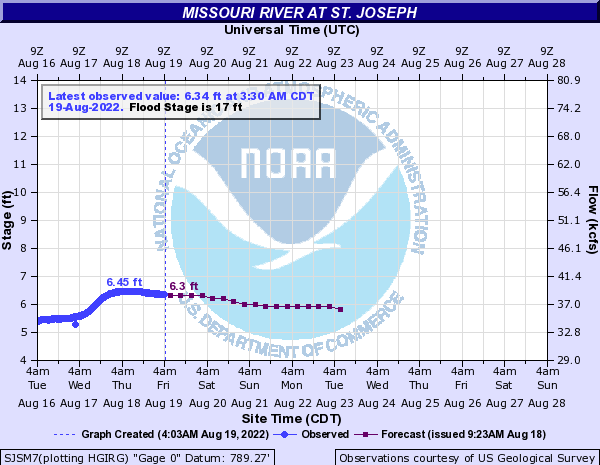 This increases the “widespreadness” of the flooding in Nebraska…but reduces the River heights farther south in time. 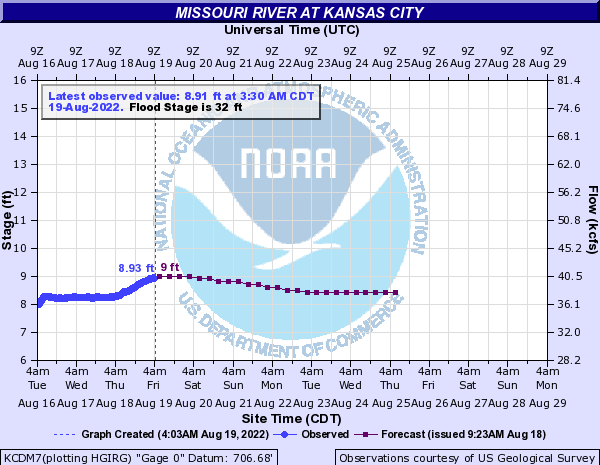 Crests upstream of KC are likely heading into Thursday. Still 2nd highest stage on record. 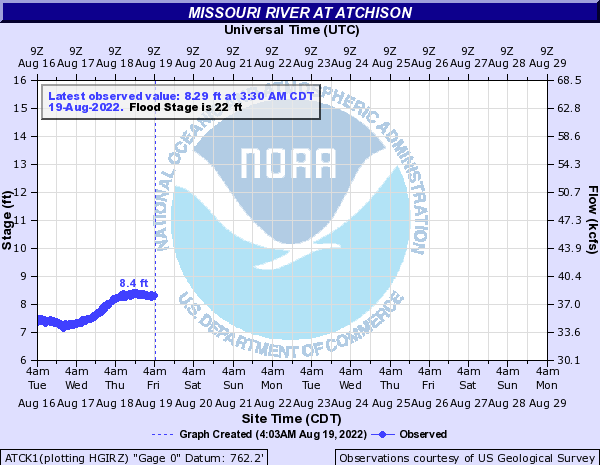 Per MSHP water coming over Nish and High Creek Levees! This will impact Watson!! !Persons in Watson should Evacuate!!! and for KCMO…amazingly NOT in the top 65!